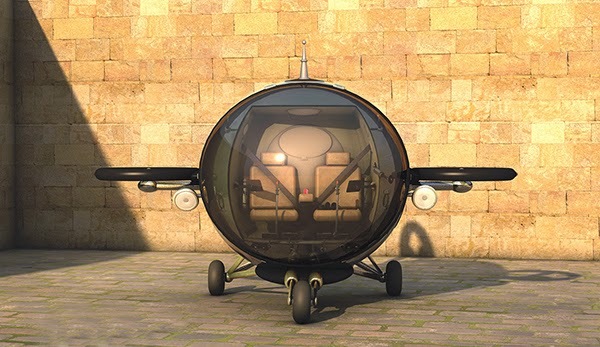 Brazilian visual artist, Eduardo Galvani has a future transportation concept that is very unique and called the Fly Citycopter. According to him, Fly Citycopter is an air transportion vehicle to deliver people to different places easily and more energy efficient. 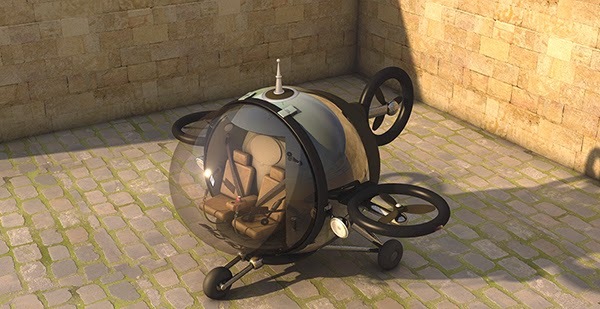 Futuristic concept vehicle who proposed by Galvani is a light helicopter that can fly and land automatically. Made of carbon fiber, aluminum, and titanium, Fly Citycopter using a combination of propeller and electric motor that can carry two people to fly a maximum speed of 130 mph. 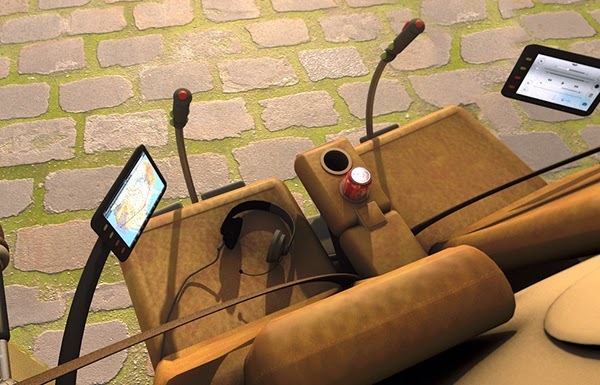 In addition, solar cells embedded on the outside of the device in order to absorb energy during flight, thus reducing air pollution. "For some people, the air vehicle is still a distant dream, but if we memilikirkan carefully and combine these parts then we will realize that the materials and technology to be used has been available. With everything we can to make this dream come true. Personal helicopters can be a means of transportation that is efficient and economical, "said Galvani.